A simple in situ hybridization technology using proprietary DNA probes for rapid visualization of mRNA target expression. 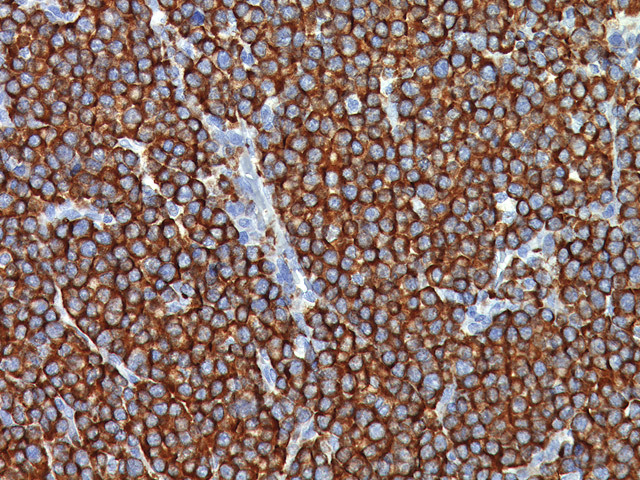 The RISH™ probe technology, enables extremely stable hybridization with the mRNA target, resulting in a more abundant signal and conferring highly specific staining. 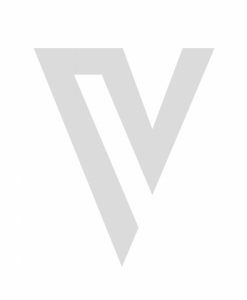 The protocol has been simplified by removal of the overnight hybridization, requirement for RNase free solutions, labware and harsh stringent wash conditions resulting in a procedure that is completed in approximately 2.5 hours. 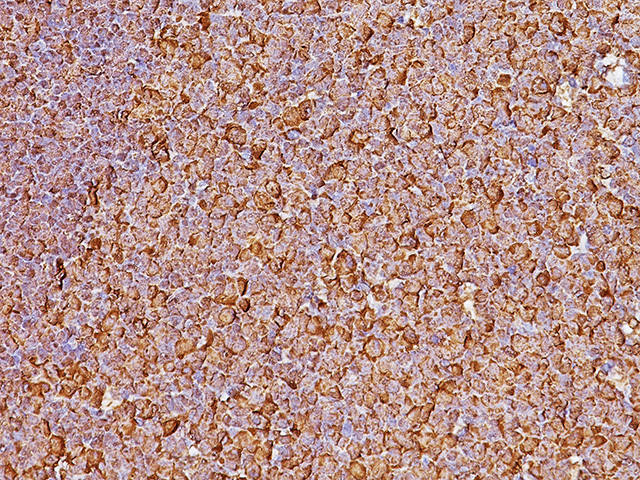 The result is clear, with virtually no background; the chromogenic signal is easily visualized under brightfield microscopy, along with the tissue morphology on a single slide. 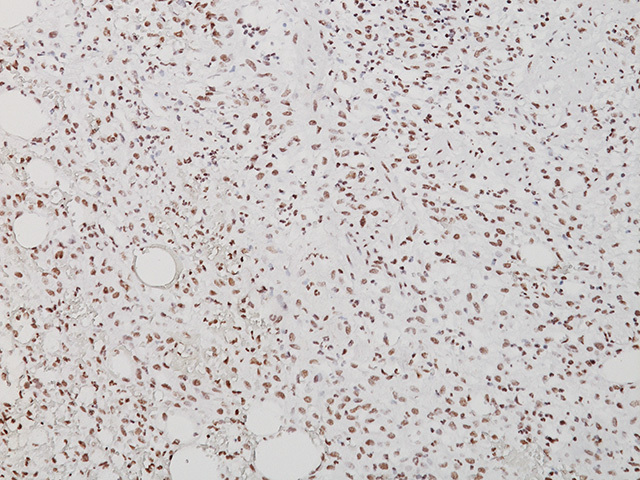 Lambda mRNA may be detected in normal and neoplastic B-cells in human lymphoid tissue. 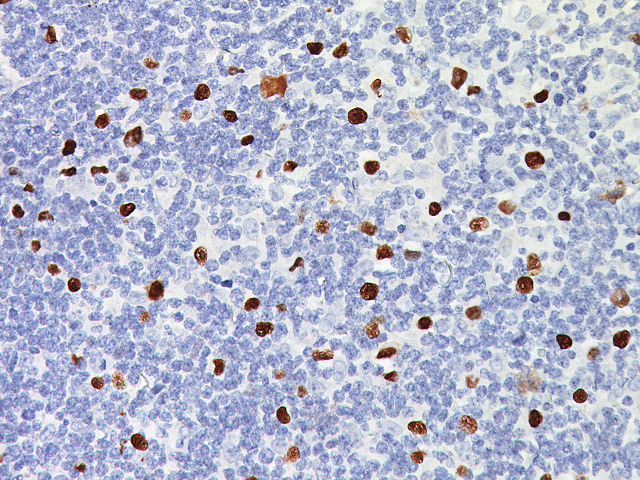 Restriction of either Kappa or Lambda mRNA denotes monoclonality of lymphoid neoplasms and is useful in distinguishing between neoplastic and reactive lymphoid proliferations. 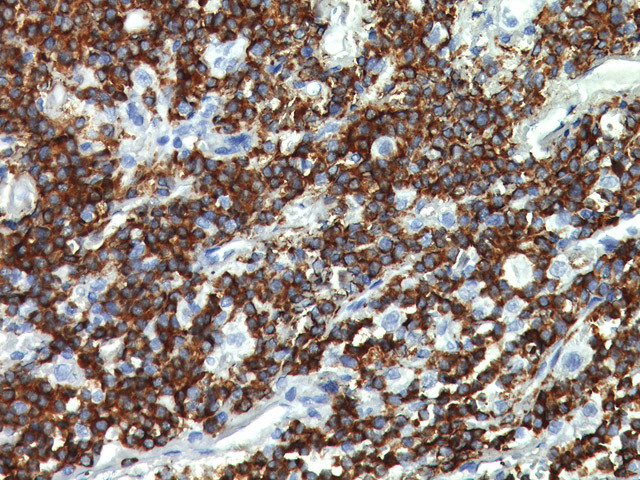 Kappa mRNA may be detected in normal and neoplastic B-cells in human lymphoid tissue. 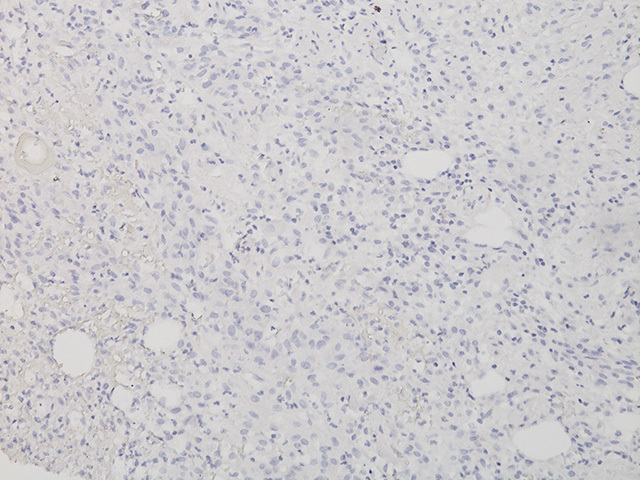 Restriction of kappa mRNA denotes monoclonality of lymphoid neoplasms and is useful in distinguishing between and reactive lymphoid proliferations. The EBER digoxigenin labeled probe is intended for the detection of EBER RNA in cells infected by the Epstein-Barr virus, both in reactive and tumoral cells. 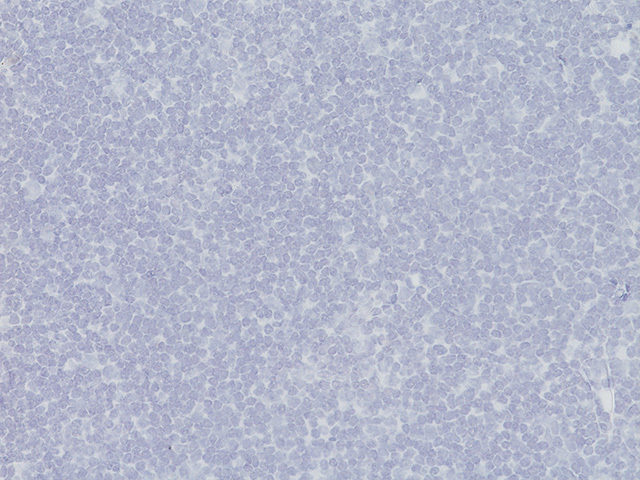 This detection is carried out by in situ hybridization in formalin-fixed paraffin–embedded (FFPE) histological sections. 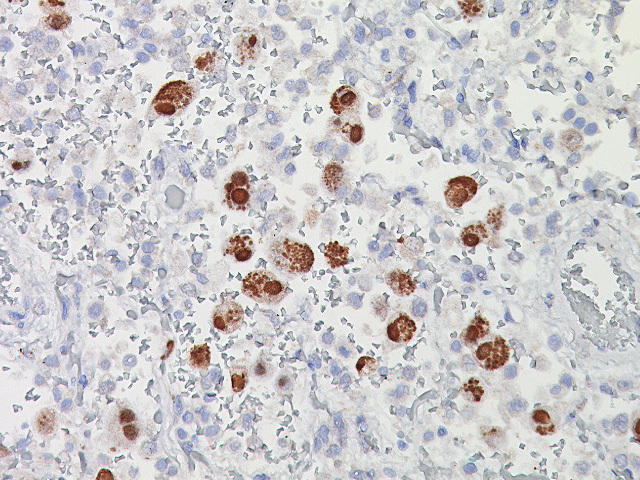 The Cytomegalovirus (CMV) digoxigenin labeled probe is intended for the detection of CMV DNA and β2.7 RNA in tissues and cells infected by the human Cytomegalovirus.